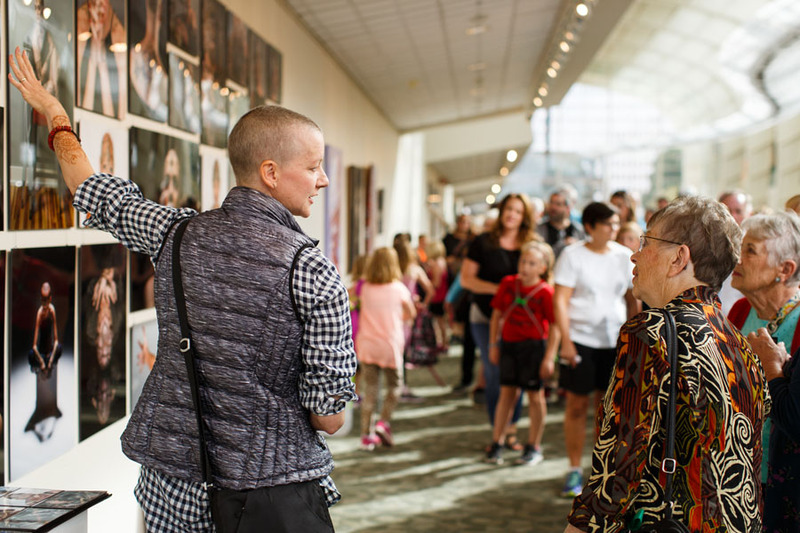 An additional $30,000 in prizes were also announced for a series of independently organized awards created by ArtPrize partner organizations. Veteran’s Juried Award: ‘YD 1342 8648’ at 20 Monroe Live, by Matias Garcia Jr.
Best Short Film: ‘RED SKIES’ by Bret Miller, determined by public vote. Organized by Urban Institute for Contemporary Arts (UICA) - Open Projector Night with presenting sponsor, Michigan Film and Digital Media Office. Best Feature Film: ‘THE VIETNAM WAR’ by Ken Burns and Lynn Novick, determined by public vote. Organized and sponsored by Celebration! Cinema. WYCE ArtPrize Song of the Year: ‘Do It 4 the Love’ by The Great Ones, determined by public vote. Organized by WYCE with presenting sponsor, HopCat. Youth Collaboration Award: ‘You Be You’ at DeVos Place Convention Center, by Hudsonville Public Schools, determined by public vote. Organized and sponsored by Western Michigan University - Grand Rapids. Contemporary Black Art Award: ‘Searching’ at The Fed Galleries @ KCAD, Kendall College of Art and Design, by Le'Andra LeSeur from Jersey City, NJ, determined by independent jury. Organized and sponsored by The African American Art and Music Celebration. Artista Latino Award: ‘Lux Maximus Fused Glass, Copper, Bronze and Metal’ at Grand Rapids Public Museum, by Daniel Oropeza from Costa Mesa, CA, determined by public vote. Organized by the Hispanic Center of Western Michigan with presenting sponsor, City of Grand Rapids. Asian Artist Award: ‘Grandfather’s Friend, and Arrival Times’ at Amway Grand Plaza, by Warren King from New York, NY, determined by public vote. Organized and sponsored by the West Michigan Asian American Association. 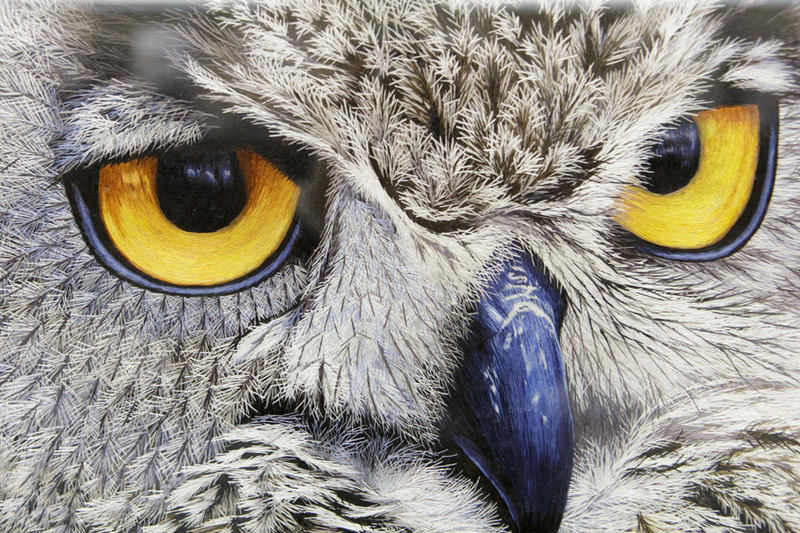 Asian Artist Award: ‘Owl’ at Grand Rapids Police Department, by YanFang Inlow from Alameda, CA, determined by public vote. Organized and sponsored by the West Michigan Asian American Association. Fountain Street Church and American Civil Liberties Union of Michigan Social Justice Award: ‘Flint’ at Fountain Street Church, by Ti-Rock Moore from New Orleans, LA, determined by independent jury. Organized and presented by Fountain Street Church and American Civil Liberties Union of Michigan. Fountain Street Church and American Civil Liberties Union of Michigan Social Justice Award: ‘State of Exception’ at Fountain Street Church, by Patrick Foran from Buffalo, NY, determined by independent jury. Organized and presented by Fountain Street Church and American Civil Liberties Union of Michigan. Veteran’s Public Vote Award: ‘Crowns of Courage’ at DeVos Place Convention Center, by Steven Stone, Amanda Gilbert and Dave Burgess from Grand Rapids, MI. Organized by LZ Michigan with presenting sponsor, WGVU. Veteran’s Juried Award: ‘YD 1342 8648’ at 20 Monroe Live, by Matias Garcia Jr. from Fulton, NY. Organized by LZ Michigan with presenting sponsor, WGVU.